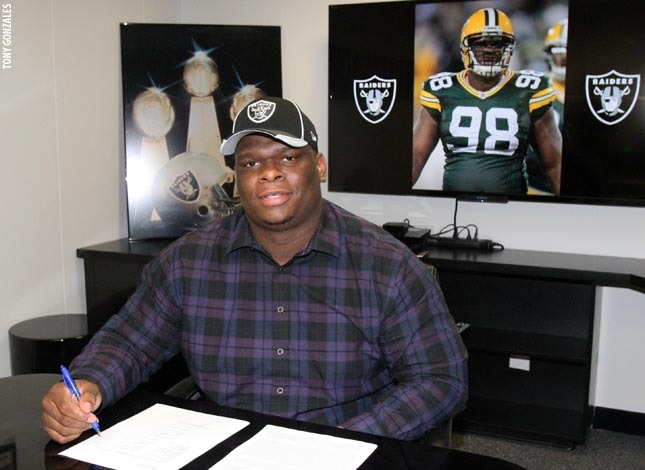 The Raiders looked long and hard at the possibility of getting a big name defensive end, but at the end of the day brought back DE C.J. Wilson, who was first brought to the team via free agency a year ago. 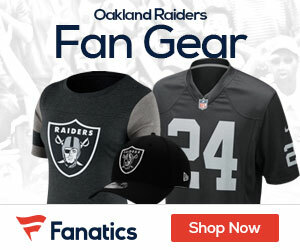 Can the Raiders lift the NFL betting lines back to respectability in 2015 at Mybookie.ag. The Raiders were duped on the deal by their own player, as Wilson told of the signing on his Twitter account. Last season Wilson, who is a whopper at 6-3, 300 pounds, played in all 16 regular season games with Oakland, and made seven starts with the franchise. He put up a total 34 tackles and a pair of sacks. Wilson also had returned a fumble 21 yards against the Kansas City Chiefs on December 14th. His career totals include 66 games played with 18 starts, 137 tackles (76 solo), 5.5 sacks, one fumble recovery and one pass defensed. Since free agency began, the Raiders signed 10 free agents, none of whom played with the team last season. Wilson was the first free agent brought back to the team. Wilson joins Justin Tuck, Benson Mayowa, Denico Autry and Shelby Harris as defensive ends under contract for the Raiders in 2015. Last year Wilson joined the Raiders last offseason after spending the previous four seasons with the Green Bay Packers, playing in 50 games for the team. Wilson played a key role on Green Bay’s defensive line during their Super Bowl run in 2010, playing in all four games – including starting Super Bowl XLV – and totaling six tackles (five solo) and one sack. The Pinetown, N.C., native was originally selected by the Packers in the seventh round (230th overall) of the 2010 NFL Draft out of East Carolina. He finished his four-year career with 192 tackles and 27 sacks and was named the Conference USA Defensive Player of the Year in 2008 and 2009, his junior and senior seasons. Wilson has been a depth player his entire career, a former seventh round draft pick who has found his niche in the NFL as a rotational pass rusher who can get to the quarterback at times while mainly providing a breather for starting defensive lineman as a situational player. The extension for Wilson also gives the team three Super Bowl winning defensive ends on the roster for another year as the former seventh round pick started in Super Bowl XLV after starting each playoff game for the Packers in his rookie season when Green Bay made their run. Wilson was a teammate of Charles Woodson’s that season and will remain with Justin Tuck and Benson Mayowa (2013 Seahawks practice squad) as Super Bowl winning pass rushers on the Raiders defensive line.